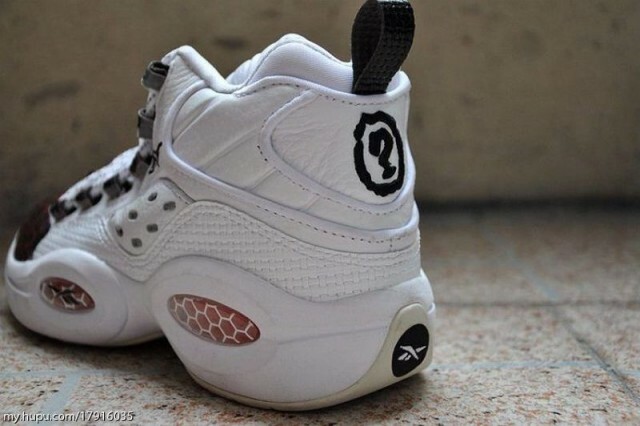 NBA great, Allen Iverson is about to have a really good 2016. Not only is the 11-time NBA All-Star eligible for the 2016 Hall of Fame, but it’ll also be the 20th anniversary of his partnership with Reebok. 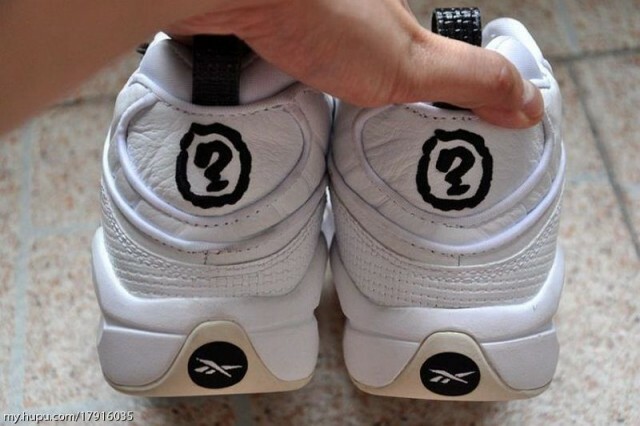 With the birthday of the Question line approaching, Reebok will be giving us what could’ve been. 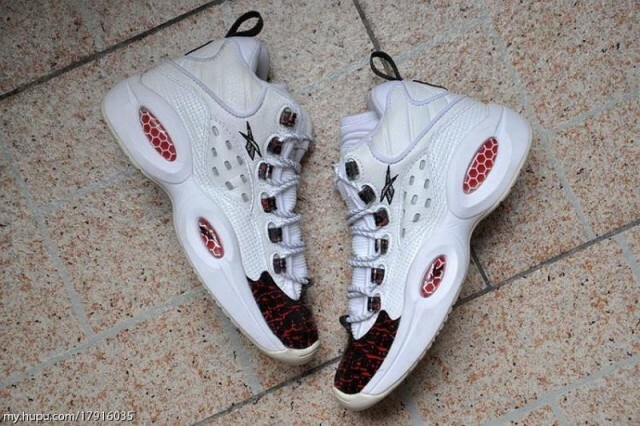 A prototype sample will be the latest Iverson model to be hitting shelves soon. 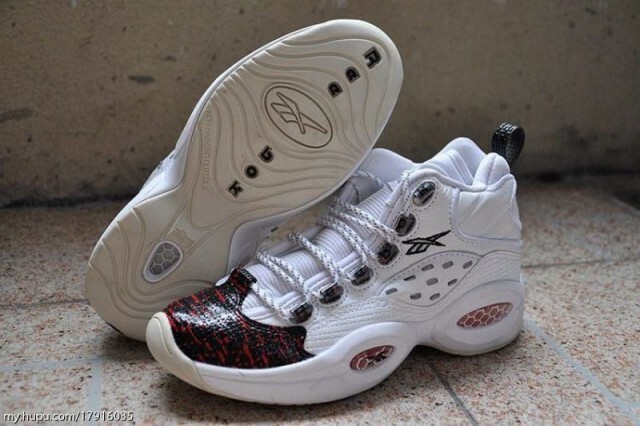 Before the Answer signed his contract with Reebok, the athletic brand came up with this sample of what would’ve been his first signature shoe. 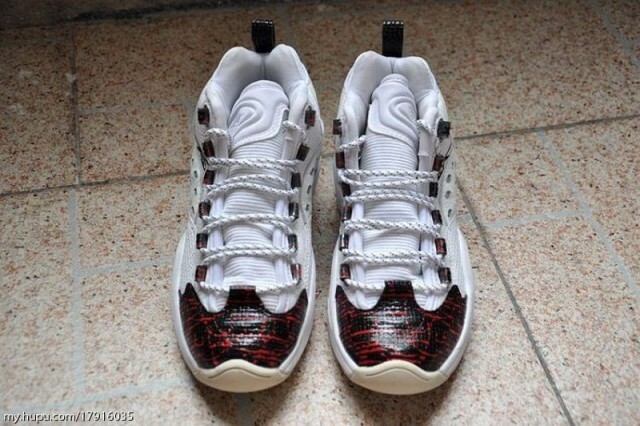 White tumbled leather makes up for most of the shoe. 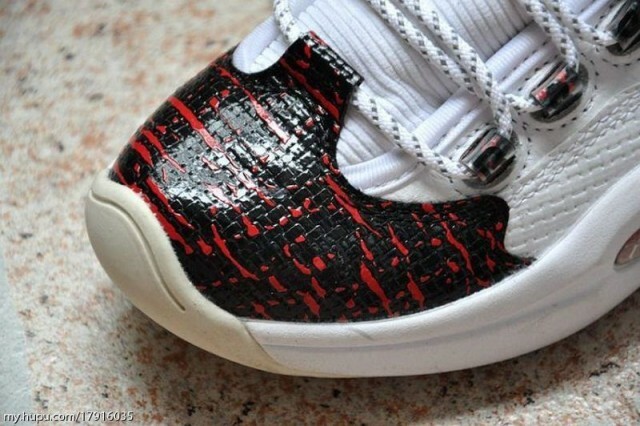 A red and black textured pattern is placed on the toebox. A “?” appears on the back of the shoe in a bold print. The shoe is pretty similar to the first Question model with some tweaks applied here and there. There isn’t any specific release date for the shoe but we will have the latest updates. Are these better than the originals to you? Let us know in the comments below.